Banorte has been one of Mexico’s strongest performing banks over the last several years. Its financial performance and market position have steadily improved year on year. Competitors have registered superior return-on-asset figures or seen greater market share gains in specific products, but almost all have either experiened impairment rises, market share losses in other product areas, or inconsistent financial performance. 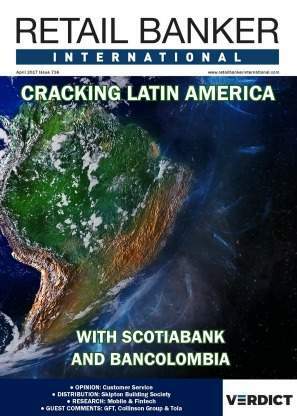 However, only Banorte and, to a lesser extent, Scotiabank Inverlat have seen their financial performance turn around. Their market positions improved across all four product areas: personal loans, credit cards, mortgages, and deposits. 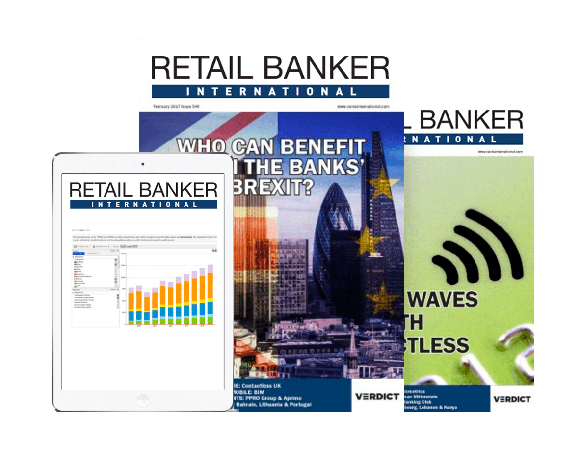 Data from Global Retail Banking Analytics indicates that Banorte’s performance is unlikely to be the result of aggressive pricing or increased risk taking. Its net interest margin remained stable between 2010–15 and actually increased in 2016 and 2017. Furthermore, its net impairment ratio remained in the bottom four over the entire period. 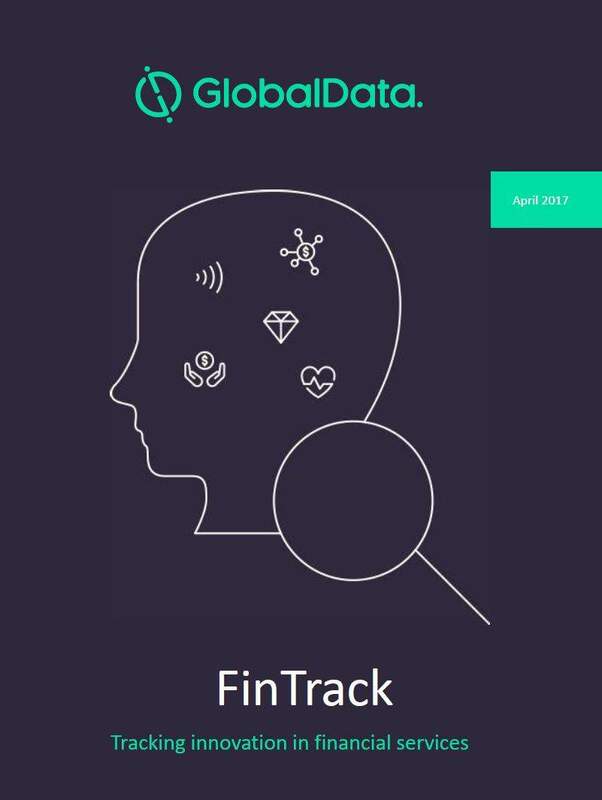 GlobalData believes that Banorte’s consistent improvement in financial performance and market position is the result of targeted investments in big data and channel strategy. These are two of the 11 mega themes we have identified as commercially critical for retail banks going forward. Like many other banks, Banorte has embraced mobile banking. 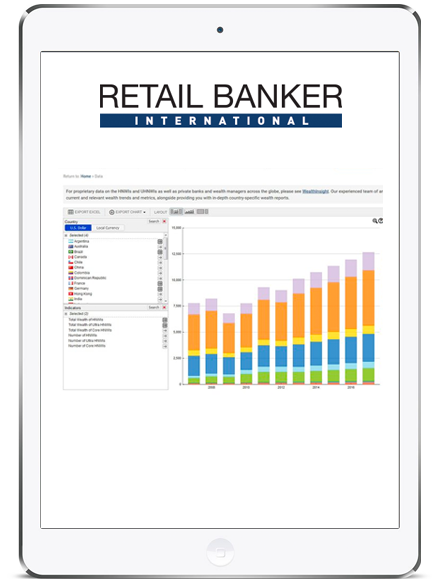 In 2011, 74,000 customers registered to use its mobile banking app. 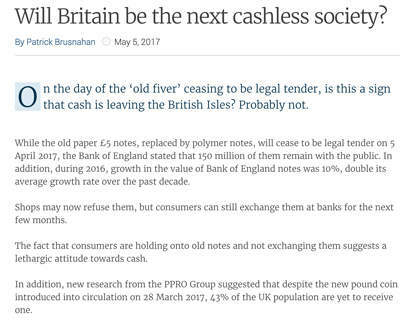 Moreover, in 2017 that figured reached 963,777. However, the rapid growth in mobile banking customers has not led Banorte to drastically cut its branch network. Since 2010, its number of branches has decreased by only 10%. 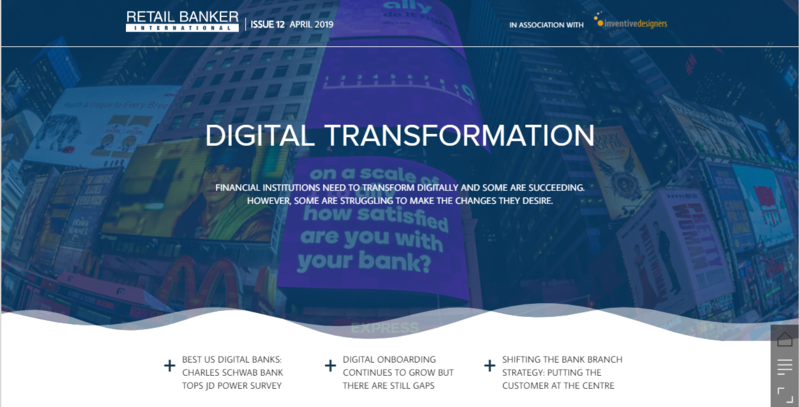 The efficiency improvements and market share gains made between 2010 and 2017 show Banorte’s channel strategy is about branch acquisition and also digital servicing. Developing studies that contribute to improving the decision-making process within GFNorte. The return on investment of the central analytics business unit surpassed expectations so much that it featured in the Harvard Business Review (HBR) in January 2018. HBR stated that the unit was originally expected to generate profits at 10 times cost. In the first year (2014) alone the unit registered profits at 46 times cost. In addition, its second year generated profits at 106 times cost. Its third year profits are also expected to reach 200 times cost. 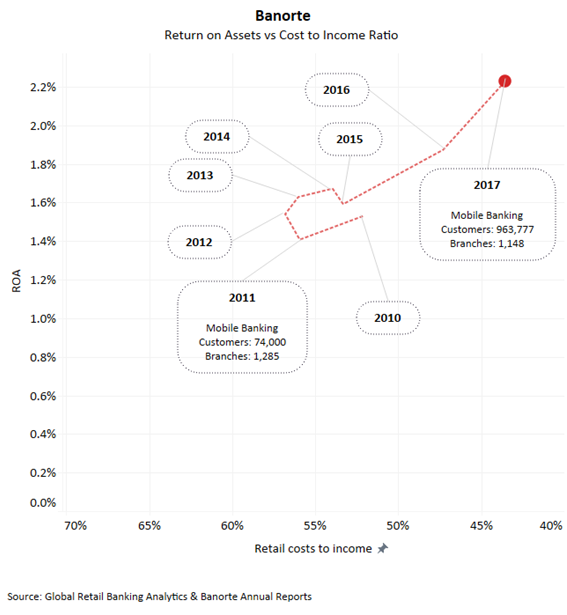 Banorte’s improved financial performance and market position over the last seven years demonstrates that successful investment in the key themes affecting retail banking can provide an alternative to aggressive pricing and increased risk taking.